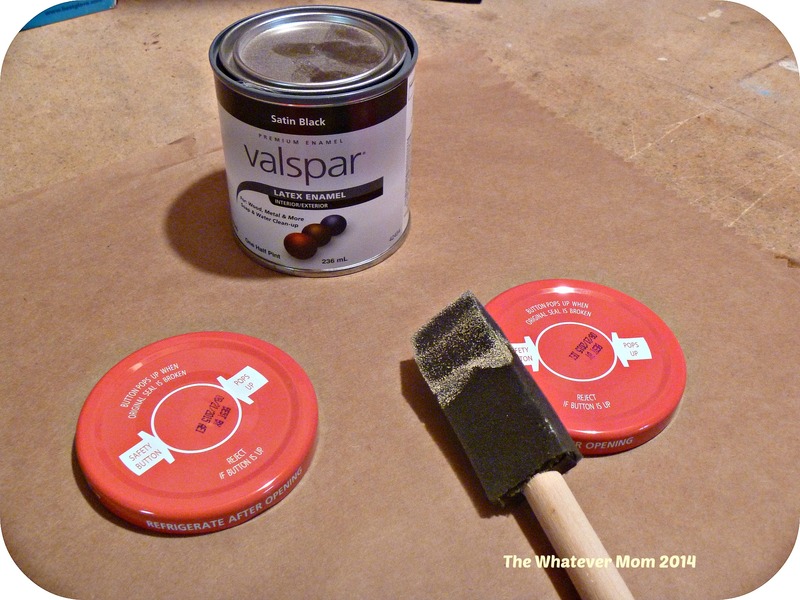 Most of my crafty ideas start with me rummaging through the house to find whatever items I already have on hand. I found these awesome mason jars (which held our store bought pasta sauce) and knew I needed to use them for something! Disney jars it is! I think my girls are still a little too young to appreciate the magic of Disney World. I really want them to experience it while they are young enough to believe in magic, but old enough to remember taking it all in. So the goal is to save up our dimes and celebrate their 5th birthday in Disney! I chose glass jars so we can watch the money add up each week! They’re also small enough to carry to the bank when we are ready to deposit. (No thanks water cooler jug). Removing the labels is easy; just soak for 10 min. in hot soapy water. 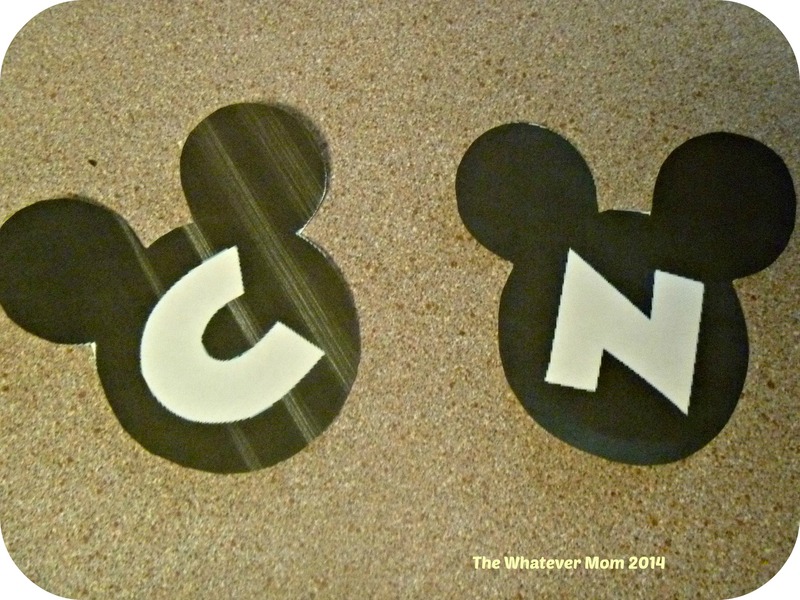 I found this great site that allows me to print Mickey ears with my kids’ initials in the Disney font. I cut and paste into a Word document and re-sized them to what I need. I found some pink polka dot ribbon to match the pink letters. 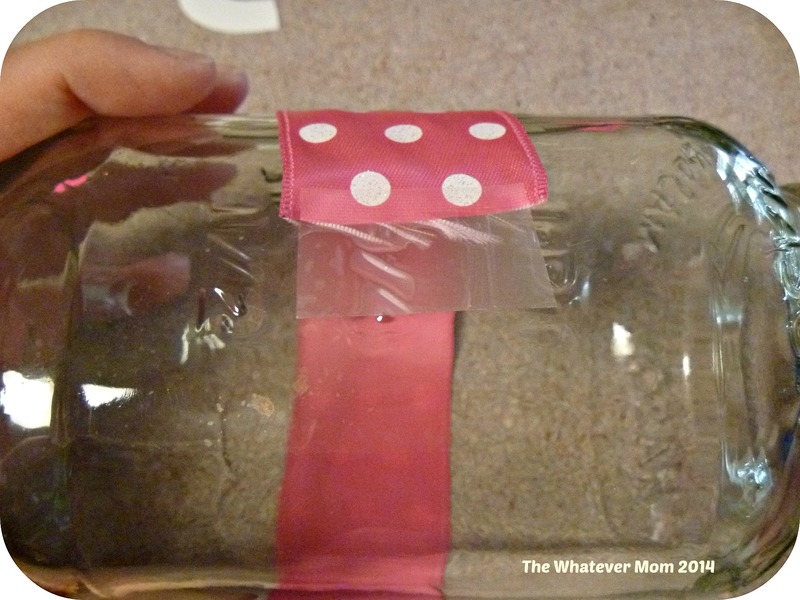 I simply taped one edge to the glass and wrapped the ribbon tightly around the jar and used a glue gun to secure it. (Glue guns scare the heck out of me so I only use very sparingly). 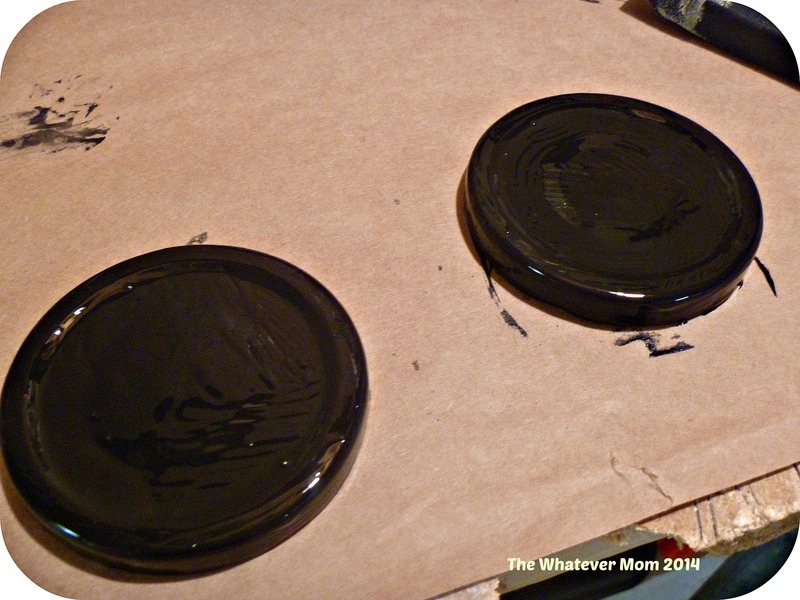 I painted the lids to the jars last. I didn’t have any spray paint on hand, but I did have a pint of latex paint from a project I never completed. So, I just brushed some of that on. In hindsight spray paint might have been quicker, and I totally regret not using glitter. Now how will we fill these wonderful Disney jars? With the blood, sweat and tears of toddlers of course! How else do toddlers earn a little extra pocket money? Yep! Chores! 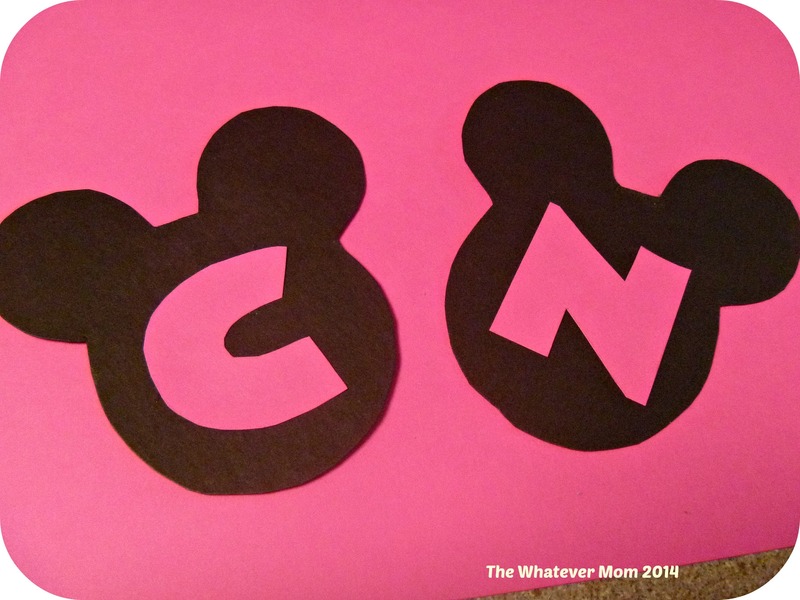 I am putting my 3 1/2 year-olds to work and using a Disney chore chart! I feel your concern regarding child labor laws, but let me assure you we keep the toddler chores pretty simple around here. The girls chore list includes picking up their own shoes, toys and dishes; which they do already. Only now we reward them with stickers and pennies. This is a great way to introduce the concept of rewards and consequences. Mwahahaha! 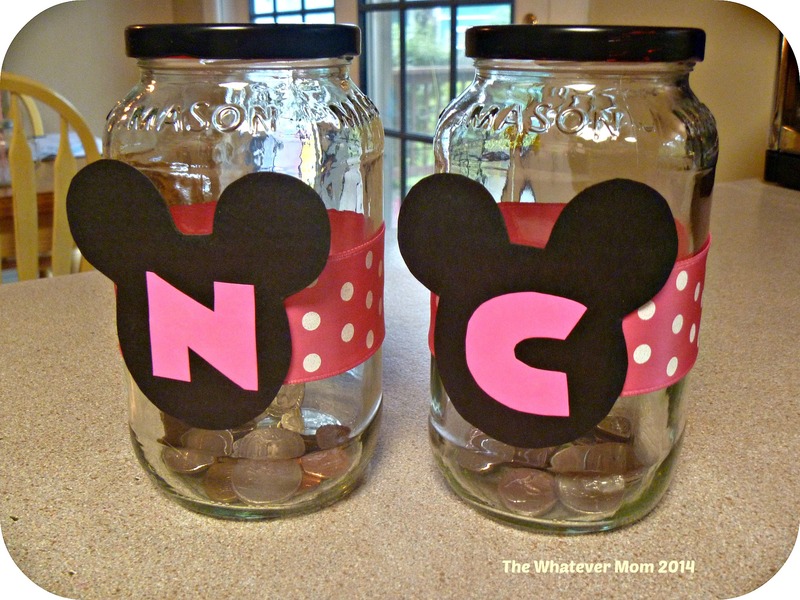 Maybe you’re not saving for Disney, but it might be fun to start a family fun jar to pay for a pizza night, movie tickets, or entrance to a water park. Whatever your goal is get the kids excited. 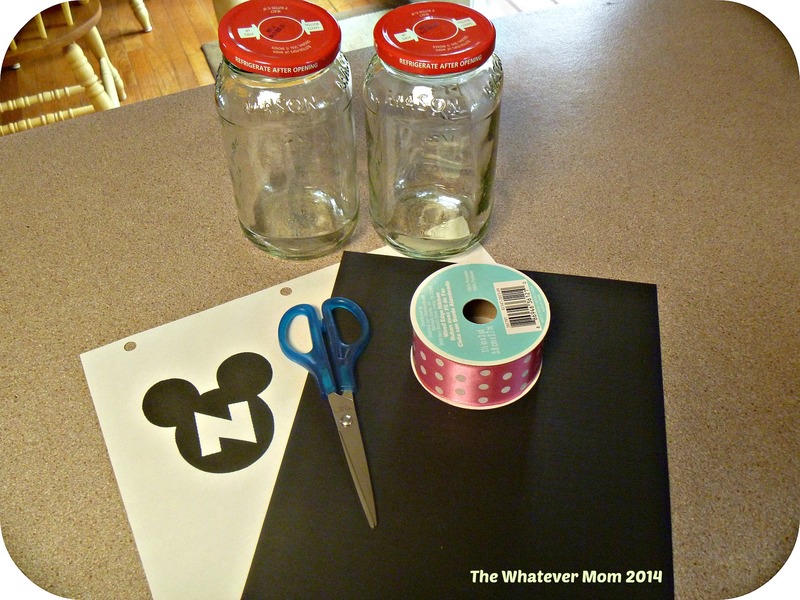 Help them decorate a jar and decide on ways they can earn money to deposit. Drop in coins when you can, or let them deposit their allowance. It’s whatever you make of it! Love it! Keep the ideas coming!